A Caucasian born and raised on the beaches of Southern California, Kori Kutsch committed to Alabama State, an Historically Black College and University (“HBCU”), during her senior year at South Torrance High School. 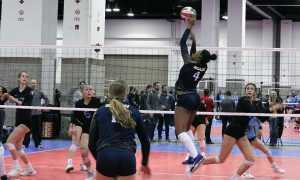 Now entering her senior season with the Hornets, the reigning SWAC Setter of the Year shares her story of life on campus as a minority for the first time in her life and whether she would do it all over again (Hint: she would!). 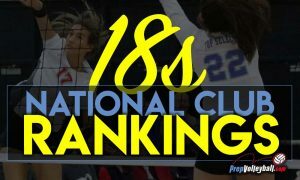 PrepVolleyball.com: How did you come to be recruited by Alabama State? Kori Kutsch: My junior year of high school I played club for Club Troy. My coach at the time was Leslie Flores, but towards the end of the season she got the assistant coaching job at Drake University. 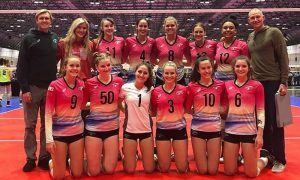 My senior year I hadn’t committed yet and I was in Las Vegas for the Las Vegas Classic and the PrepVolleyball.com Unsigned Showcase. My now coach, Penny Lucas-White, knew Leslie from a coaching convention and told Leslie she was looking for a setter. Leslie mentioned me. Coach White watched me at the Showcase and then almost all my matches at the tournament that weekend and I flew out for my official visit a month later. PVB: How did you choose to enroll there? Kutsch: After my visit Coach White gave me 48 hours to decide and let her know. I was deciding between Alabama State, Cal State Stanislaus and the coach at University of Hartford called me and gave me an offer an hour before I had to let Coach White know my decision. I really enjoyed my visit at Alabama State. They really made me feel at home and it was also my only full scholarship offer which obviously helped with the decision making. 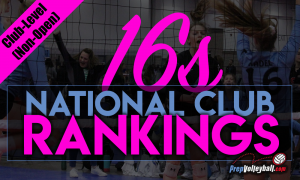 PVB: What were the things you considered prior to enrolling? Kutsch: I remember sitting at the airport waiting to fly home after my visit and sobbing my eyes out at the gate terrified of making the wrong decision. I also remember driving in the car with my mom discussing what I should do. At the time, going D1 was super important to me (now, looking back, I wish I hadn’t made that such a priority). In talking about going to an HBCU I was honestly terrified. Growing up in So Cal as diverse as it is here, I had NEVER been the minority. I was scared to stand out and that I wouldn’t fit in and I have never been a fan of being the center of attention. But in discussing it with my mom we said that if nothing else were to come out of it, a lesson learned would. And if worse came to worse there was always an option to transfer. I’m happy that I never needed that option. I called Coach White that next day, on her birthday actually, and told her I want to come to Alabama State. 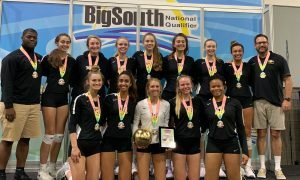 PVB: Was it a culture shock coming to Alabama from the beaches of the South Bay? Kutsch: Besides the fact that I was going to an HBCU, Alabama was a culture shock in general. Honestly in Alabama, you have either black or white people, not a lot of anything else, which is very different than what I was accustomed to. I had wanted to experience something different in college and didn’t want to stay in California but I immediately missed it and appreciated where I was from more than ever before. PVB: How did it feel to be a minority? Did it make you uncomfortable? What, if anything, did you learn about yourself from that discomfort? Kutsch: It was definitely different and uncomfortable. I was the only white person in all my classes, which was the first time that had ever been the case for me. I’ve learned a lot about what African Americans have to deal with in the USA. Growing up in So Cal I thought that things were better and everyone was equal but I was wrong. America has a lot of work to do and I’m so glad and thankful that I got that learning lesson because I’m much more aware of the social injustices African Americans face on a daily basis. Although I will truly never know what it’s like for them, “White Privilege” is a real thing obviously. I know that everyone is not equal in America. That needs to change. PVB: How were you received on campus? Kutsch: Obviously, right away I stood out. That wasn’t really the case until move-in day because all the fall sports have to be there weeks before school starts. The athletes are all very diverse so I didn’t feel like the minority until school started. Once people came on campus I immediately could tell I was different. Everyone knew I was an athlete because I obviously was not going there just for school. I also remember walking to the cafe with my then roommate and teammate, who was also white, and a girl driving by rolled down her window and yelled at us, “SNOW BUNNIES!” Now that I’m in my major and most of my classes are with the same people this really doesn’t happen much anymore but my freshman year it did quite often. PVB: How were you received by the volleyball team? Kutsch: Honestly, my freshman year was very, very hard. The seniors on my team (not all of them) at the time were not the most welcoming towards us freshmen. I don’t want to say it’s because I was white because I do not believe that was the case but I never felt appreciated by them until the other setter on the team, my roommate, quit right before Senior Night and the conference tournament and they needed me. We were down 0-2 at home on Senior Night after running a 6-2 with me and a DS. The third game we switched to a 5-1 and we won. They all hugged me and told me words like “thank you” and “we love you.” That was the first time I felt appreciated by them. We didn’t win the conference tournament that year but they all told me they were proud of me. My sophomore year everything was different. We had a lot of incoming freshman that year and some JUCO transfers. It was one of the best teams I had ever been on in the fact that we all got along so well and were all really close as we still are this year. PVB: Have you experienced discrimination for being Caucasian on campus? If yes, how did that make you feel? Kutsch: I don’t think I’ve ever been discriminated to the point I was upset. Besides being called a “snow bunny” and stuff like that but that didn’t hurt my feelings and I was sort of expecting it. But I do remember taking my Humanities class sophomore year and it’s a class about African American history and I was the only white person in the class. The first day the professor asked if it would be okay if I could consider myself one of them for the sake of the class so he could refer to the class as “we.” I thought it was kind of strange and unnecessary because if he referred to the class as “we” without asking me then I would have understood what he was talking about. Anyway, later in that class I learned so much that I had never ever been taught. It was very interesting and eye opening. This class was during a summer where there were 1-2 high profile cases of police brutality and we had some long and deep class discussions/debates about them. Some very passionate students (rightfully so) referred to, for example, the cops involved or racist white people involved as “white people” instead of those specific white people. This kind of upset me because I was obviously in the room listening to this and felt as if ALL white people were being generalized as supporters of police brutality and racism, which is not the case whatsoever for me. I remember sweating a lot in class from nerves alone feeling like all eyes were on me. In another class, a research class, we were discussing ethnicities and my professor asked me out loud in front of the whole class if I would consider myself white. The whole class turned and looked at me and I was so nervous to answer such a simple question. I was scared if I answered wrong I would be shamed or offend my classmates. I just answered, “Ya I guess” and the whole class laughed. So I guess I didn’t offend anyone but I felt awkward being singled out when it was obvious I was the only white person in the class. And of course there are stereotypes about white people that I have been asked about or assumed to have but everyone of every race has stereotyped before so I don’t consider that to be offensive. PVB: Is your presence at an HBCU made more difficult by who’s in the White House? Kutsch: I would actually say being in a “red state” is harder with who’s in the White House. Growing up in a liberal and middle class family is what kind of guided my political views that I have today. By no means do I know a lot about politics or enough to have strong opinions but I wasn’t happy with who won the election along with pretty much everyone else at my school. I’m not sure if people assume that because I’m white that I’m a Trump supporter but that’s not the case. If anything, it’s nice to be at a school that felt the same as I did regarding the election while being in the middle of a red state. 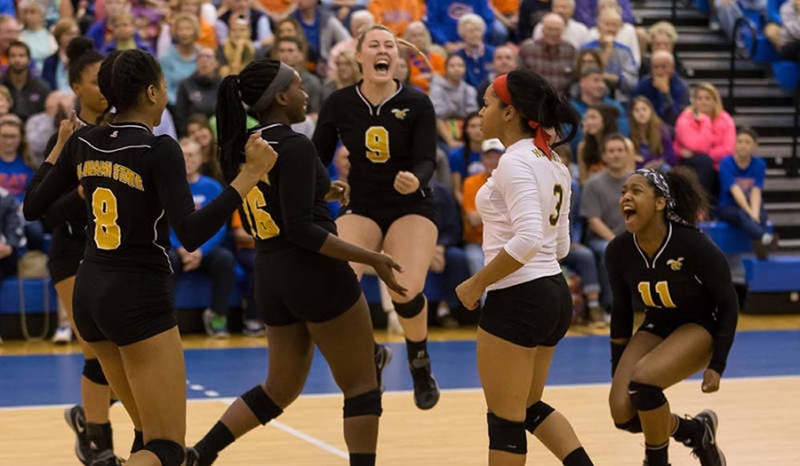 PVB: How would you describe your overall volleyball experience at Alabama State? Kutsch: My freshman year was hard. I’m pretty sure I called home crying every single day. There were only two setters and we were both freshmen and then at the end I was the only setter so that was a lot of pressure. I really learned about my anxiety that year. I knew I always had it but that year specifically is when it really took a toll on me. I honestly began to despise volleyball and fell out of love with it for a while. I’ve learned to better deal with my anxiety but it still is something I am learning to deal with. My freshman year I won Newcomer of the Year and made the All-Tournament team at the conference tournament and it brought back my love for the sport and I was proud of myself. My sophomore year I struggled with my anxiety again even though it was drastically better than my freshman year. We went undefeated in conference play that year, which no team in the SWAC (all sports) had ever done before when playing all the schools in the conference. I didn’t win any post-season awards, which I was very hard on myself about since my goal was to win Setter of the Year. So my junior year that was the goal. I was sitting in class the day we were leaving for the conference tournament and I got the notice that I won Setter of the Year and 1st Team All-Conference. I ran out of the room in tears and called my dad right away. I was so proud of myself for all my hard work and for all the good days and the bad I had gotten through that led me to that. We also won the conference tournament again and went undefeated in conference play again. We currently have 42 consecutive conference wins. It’s been a bumpy road but it’s been a rewarding one. PVB: What are your goals for the 2018 season? Kutsch: My goals for the team for the 2018 season are to beat more out-of-conference teams, and go undefeated again in the SWAC as well as win the conference tournament. It would also be awesome to upset someone in the 1st round of the NCAA tournament. My goals for myself are to win Setter of the Year and First Team All-Conference again as well as tournament MVP or All-Tournament team. I also have a dream of being an All-American. I know that may be a long shot but might as well set high goals for senior year!! I also want to enjoy my senior year on the good days and bad days because I know I’m going to blink and it will be over. PVB: What are your plans after college? Kutsch: After college, I don’t have plans or any desire to play professionally honestly. As sad as I am that I will play my last competitive volleyball game this year, I think that chapter of my life is coming to an end. I see myself coaching probably as most do. I also want to come back home after I graduate in May to finish up some prerequisite classes for physical therapy school. So it will kind of be a gap year for me but I will be finishing up some classes that weren’t required for me to get my bachelor’s but are required for PT School. Then I plan on going to PT school, not sure where yet, but to get my Doctors of Physical Therapy. I also would love to coach with my dad (at South Torrance) and maybe win our 2nd CIF title together. PVB: If you could turn back the clock, would you do it again? Kutsch: I would absolutely not change a thing. I’ve met some amazing people like one of my best friends, Candace, my assistant coach, LaToya Clark, who’s been there through it all for me; and also my boyfriend, who played baseball at ASU. I’ve learned and grown up so much in more ways than I could have imagined for myself when making my decision to go to ASU at 17. I’ve made so many amazing memories that wouldn’t have happened if it weren’t for going to Alabama State. PVB: How have you grown as a person from having attended an HBCU? Kutsch: I was already pretty independent but I have become way more so by moving across the country. I’ve have become so much more mature and someone that I’m really proud to be. I’ve done so many things that I never thought I could do. I’ve become more physically and mentally stronger than I ever thought possible. I’ve also learned so much from going to an HBCU, stuff that I think my friends from home that go predominantly white institutions will not get the opportunity to learn firsthand. I think I’ve become more socially and culturally aware of how things really are for minorities in the United States. My teammates and coaches alone have taught me so much about black culture than I ever knew before and I think it’s good knowledge to have. Going to an HBCU has made me a better person. PVB: What advice would you give to someone like you considering this option? Kutsch: The advice I would give to someone in my position is to embrace it and don’t be scared if you’re considering going to an HBCU. It’s a great learning experience that you won’t get anywhere else. Good or bad experience, you will learn more about yourself. I think that I have learned more about myself in going to an HBCU than I would have going to a predominantly white institution. It’s going to be uncomfortable sometimes but that’s when you learn who you really are. 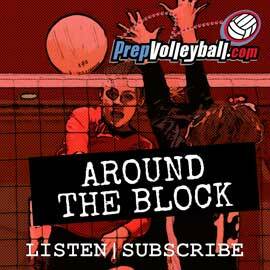 Thanks John, we need great stories like this in The VB World, hope all is well with you and yours. This was a great story idea. I appreciate this new breadth of content. What an outstanding young student athlete, so courageous! Had the privilege of seeing her play vs Stanford tonight. She’s a great setter!